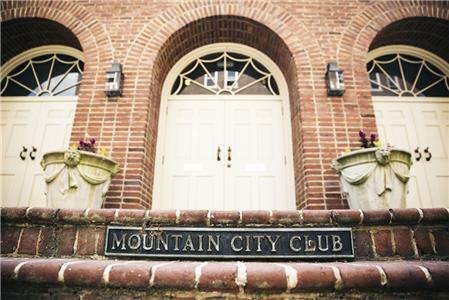 Officials of the Mountain City Club are considering sale of the property at Eighth and Chestnut to a developer. Dan Saieed, club president, said the board was approached by developer Byron Defoor with an offer for the property. He said the club is facing declining membership and extreme financial issues so is considering the offer. The Defoor group developed the nearby Westin Hotel in the former BlueCross Gold Building as well as nearby properties. As you are aware, the Club has experienced significant and continuing challenges relating to our financial status. This is due in large part to the substantial reduction in our membership (from approximately 700 members to just above 300 at the present time) while, at the same time, we have experienced an increase in our expenses. Such expenses are expected to increase with the continuing aging of our building and the necessity for increased maintenance. Our building was originally designed to support approximately twice the current membership. Because of fixed expenses, the increased need for maintenance, and significantly lower revenue, the Club finds itself in a precarious financial condition. These concerns have been the source of concentrated attention by this and previous boards to improve the Club’s financial situation by increasing membership and reducing expenses. For instance, a committee was formed to study the optimization of parking lot revenues. After extensive research, the committee concluded that even increased revenues were not sufficient to return the Club to profitability. The board also looked into other ways to increase revenue such as a dues increase, which in fact was recently adopted. However, it is apparent that these measures have not resolved the extreme financial issues facing the Club. During this process, I was approached by Byron DeFoor who expressed an interest to acquire substantially all of the Club’s assets. We did not approach him but he made the approach to us. In an interest to provide options to the Club, we requested that the potential buyer submit a non-binding letter of intent outlining the proposed transaction. The board is now examining this option and will be reporting more details and sharing the letter of intent with the membership in the near future. Any such option would include a move to another facility consistent with the Club’s highest traditions, but which would be more manageable from a financial standpoint. Rest assured that all the members will be kept abreast as this process continues and official meetings will be conducted with the membership to guarantee member approval. We are all interested in preserving the traditions of this unique and historically important Club and we thank you for your efforts to assist us in this endeavor.